Dorothy was married to Lawrence Avakian for 49 years. When he passed, Dorothy took over the management of their considerable estate. “Larry had appointed excellent professional advisors that helped me with investment, tax and legal matters. We had already settled on giving our estate to charity,” says Dorothy. 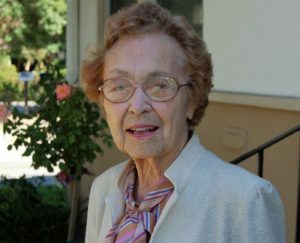 Dorothy wanted to support some good causes in Pasadena while she was alive, so her investment advisor suggested a Donor Advised Fund (DAF) at PCF. After working with the foundation for several years, Dorothy came to appreciate PCF’s work in supporting local non-profits. Eventually she ceded the discretion of the grant making to PCF, creating a named endowment with the balance of her DAF. Dorothy died in May 2015 at the age of 97. Her fund will support Pasadena-area nonprofits in perpetuity.